Since we are in the United States most of the people reading the blog are from the United States. Most of the hits from France was from them checking to see if we were following the new privacy rules the European Union put in this year. 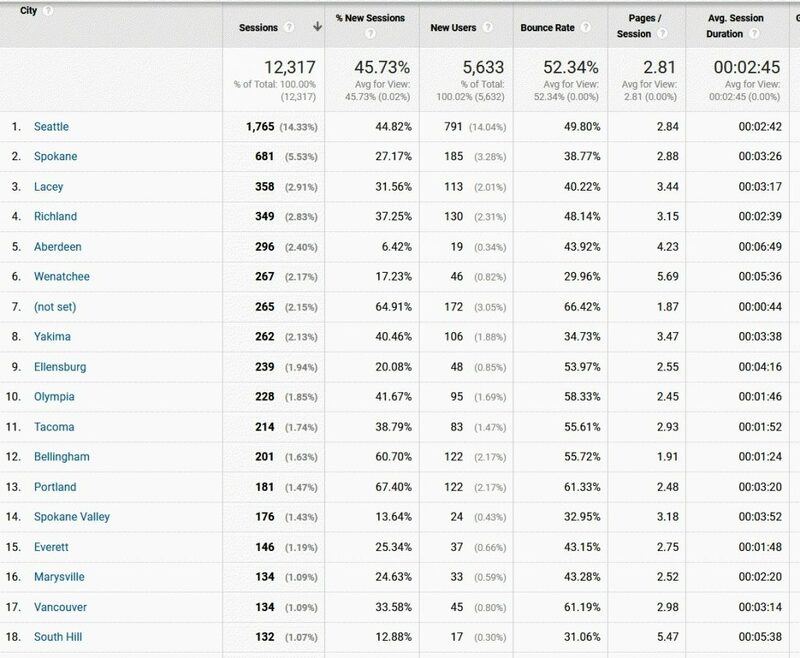 Seattle has always had the top readers of the blog. 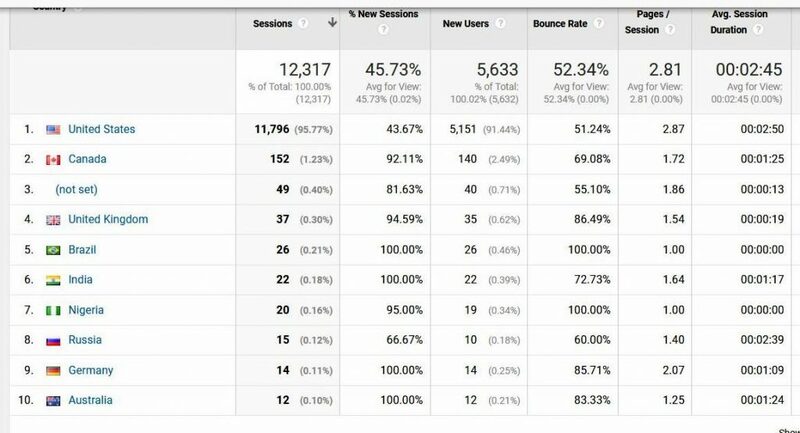 New York, Ashburn and Boston seem to be locations of Bots since nearly all their sessions are 100% bounce rate (means they only look at one item then leave). The city that amazes me is Wenatchee, which has came close to the top of the list starting in the middle of the year. Notice Paris number five, they are checking on us for the European Union rules. 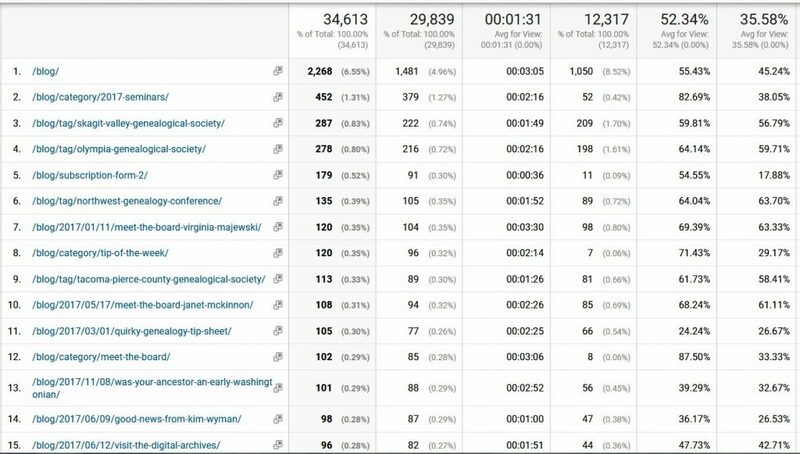 This is the list of most read blog posts for the year. Number 3 on the list is from 2015! Number 8 on the list is from 2016! 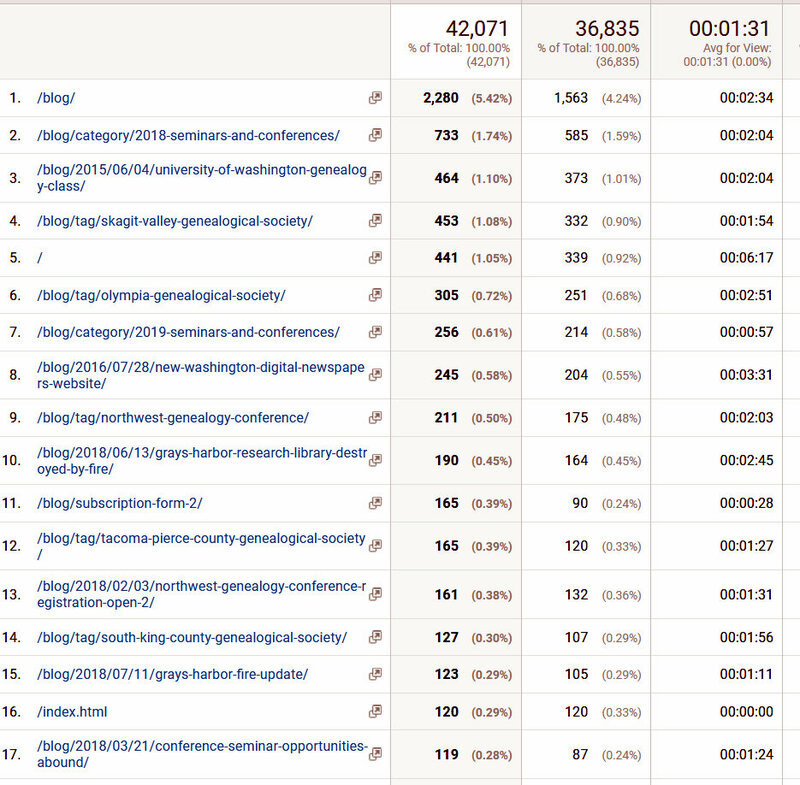 I also notice several are found by using the categories to find blog posts. I was amazed that at least some people have found the tags we use for most posts even though we do not have them very easy to find. (They are at the bottom of each post). It has been a good year and I want to thank all the local genealogical societies that have sent me their information for their seminars and monthly meetings, you can see that they are being read by a lot of people and so hopefully a few will come to your meetings or seminars. Region 1 North and 1 South – San Juan, Island, Whatcom, Skagit and Snohomish Cos.
What works, do you say? The WSGS system of Regional Reps! Here is a page from the July-Aug Stillaguamish Star, newsletter of the Stillaguamish Valley Genealogical Society. 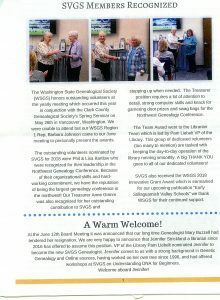 On page 7 there is a nice write up, with color photos, of WSGS Region 1 Rep, Barbara Gorham Johnson presenting the certificates to SVGS’s nominated outstanding volunteer awards at the recent Clark County Genealogical Society conference……… where Roxanne Lowe presided over the ceremony announcing those awards. Since the “Stilly” folks were not present, Barbara Johnson traveled to them, with the certificates, and did the honors. Good show, all around, I’d say! We hope that our content is useful to you. If you’d like to continue hearing from us, do nothing, if not either unsubscribe or leave a note in the comments and I will unsubscribe you. This is an alert for any calendar year non profit Genealogical Society, your for 990 is due May 15. I will guess most genealogical societies will use the form 990-N or 990 postcard form. The 990-N is for societies with less than $50,000 a year income. Go to www.irs.gov and search for the 990-N form. It must be filed online right there. Takes about 10 minutes to file and get the conformation that it was accepted. They ask 2 questions, did you take in less than $50,000 last year and are you still active. Then they want the name and address of an officer and you are done. 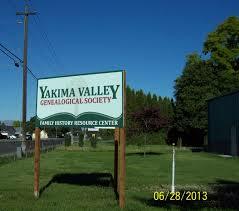 February 10th the WSGS board met at the Yakima Valley Genealogical Society library in Union Gap, Washington. The board meets four times a year to discuss genealogical matters important to everyone in the State of Washington. Besides the officers at the meeting, committee chairs are asked to attend. Any WSGS member can attend also. Usually the night before most of the attendees go to a no host dinner at the Sea Galley Restaurant to get to know each other. 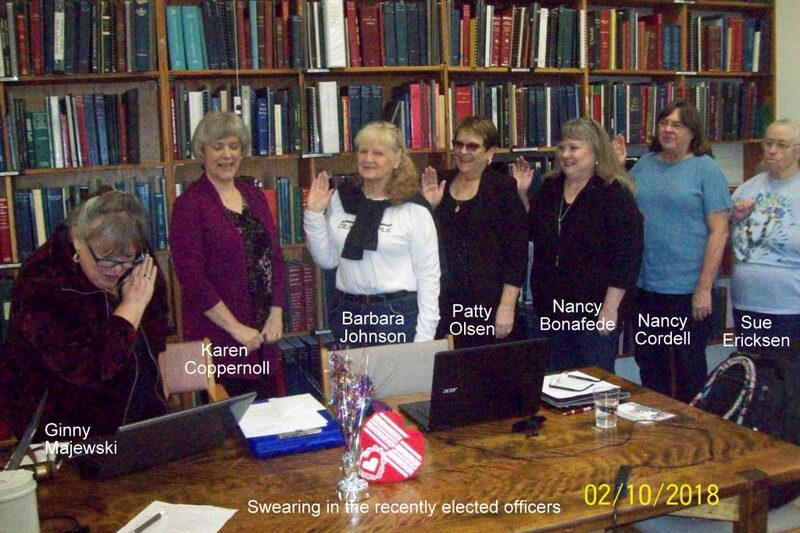 First order of business at the board meeting was to swear in the recently elected board members and regional reps. All the officers are listed here WSGS President Ginny Majewsky was checking the wording of the oath. Region 7 (Spokane, Stevens and Pend Oreille counties) is looking for a rep. We are also looking for a Historian and an Awards Chairman, so if you know someone that would be interested please contact Ginny Majewski. Probably the biggest change to come from this board meeting is the change in the dues for 2019. The dues will be $12 for members, families, and societies. You can still pay with your local society so you only need to write one check, but no discount that way, still $12, and the society will not get any of the $12 for handling the paperwork. With the start of the new year, there are two legal requirements that may be required for your local society. Below is more information. IRS Form 990 – Before May 15th, your Form 990 is due to be filed with the IRS if you are a Tax Exempt 501(C)(3) organization. (Note: if this has not been done in the last three years, your Tax Exempt status has expired.) The IRS has three 990 forms: the regular 990 for organizations with over $200,000 annual income, the 990EZ for organizations with income between $50,000 and $200,000, and the 990-N (Postcard 990) if your income was less than $50,000, which I assume will cover nearly all the genealogy societies in the State of Washington. The form must be filed online at www.irs.gov where you are asked two questions: (1) are you still active, and (2) did you take in less than $50,000 last year. If yes to both questions, just fill in your genealogical society’s name, address and federal ID number (should be on last year’s return ##.#######), print out the form and confirmation and you are done. Resources – You might consider signing up for the free IRS Exempt Organizations E-Mail newsletter (https://www.irs.gov/charities-non-profits/current-edition-of-exempt-organizations-update). There is also an E-Mail Newsletter from Washington Non Profits (https://washingtonnonprofits.org/membership/sign-up-for-our-email-list/). Fair warning: a lot of what is in this newsletter is for large nonprofits, but they do have seminars all over Washington State that may relate to your government filing and best practices for non-profits. I got this Legal-checklist-1 from their latest newsletter, some parts do not apply to our small genealogy societies, but many do. 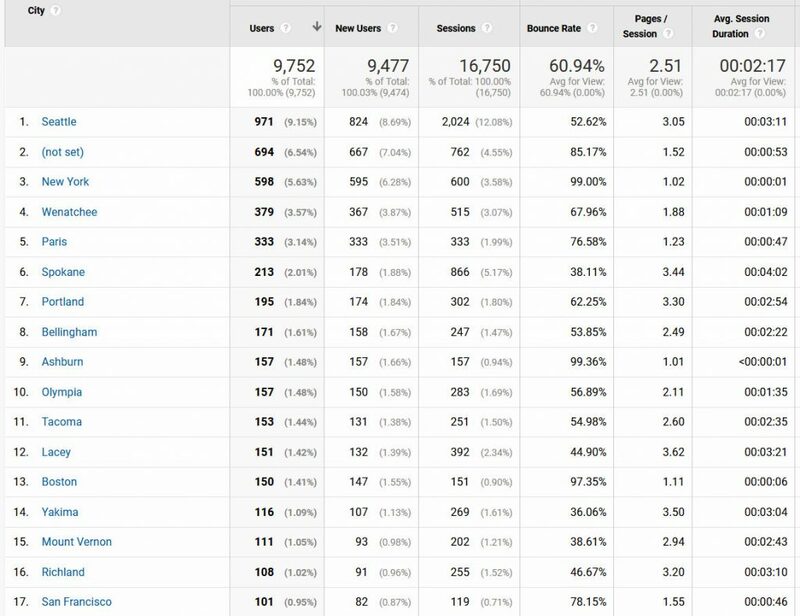 I have been a blogger for years before the WSGS Blog started and have always been amazed that blogs are so interesting, yet so few people read many blogs. They do get read, and so here are some interesting items from the WSGS Blog. 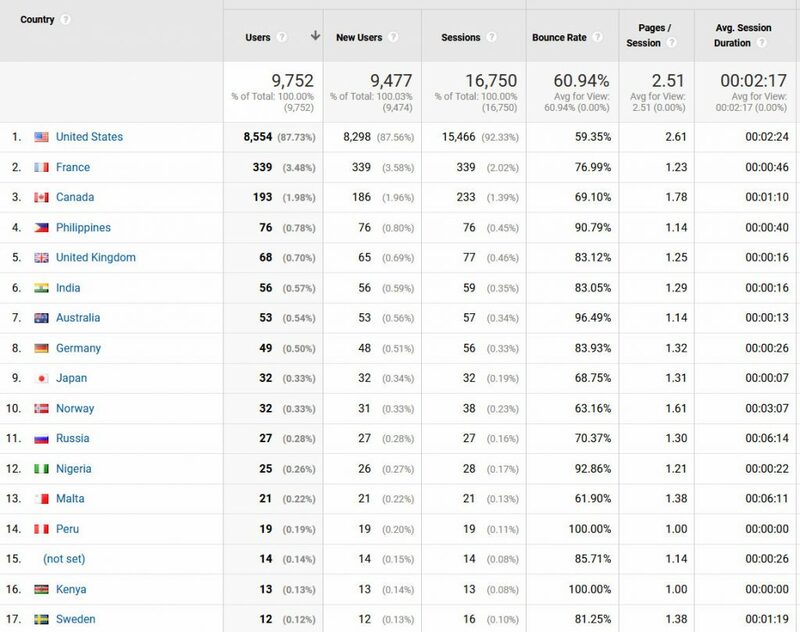 While most of our readers are from the United States, we also have readers from several other countries. We also have readers from many states, but this list is the top cities, thanks Seattle for always being number one. The last few weeks number two on the list has been Philadelphia? Anyone know why Philadelphia is interested in our Blog? This is the top 15 hits this year. Most everyone gets the blog as a digest weekly, so that is why number one is on this list. I see some people have found the categories and tags we attach to most every blog article. While the articles Donna Phillips does on trivia, serendipity and mystery are popular, they did not start till later in the year so they do not show up on this annual list. I know I welcome the few comments we get, would be nice to get more, but is there anything else you would like to see in the blog that we have not thought of? In 2017 there were several major seminars held on the same days, and that it is hard to schedule speakers, but maybe a save the date post early in the year could alert everyone of upcoming seminars early enough to avoid conflicts in 2018 or 2019. I want to thank all the people that send their information on upcoming meetings, seminars and items of interest, you make my job very easy to do. 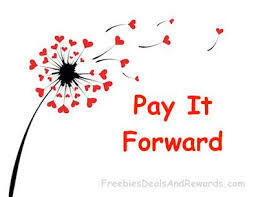 I also want to thank my fellow bloggers Donna Potter-Phillips and Roxanne Lowe. You care about your mission and want to make sure your organization does what it needs to do to succeed. That is why we created DIY learning toolkits that include short videos, kit materials, key documents, and more. Click on the images below for more information! We know that you want to learn about other topics as well. Visit the Washington Nonprofit Institute website for archived webinars on many other topics, including fundraising, risk management, equity, and communications. If you can’t find what you are looking for, contact us! There are many more nonprofit learning opportunities to join! Visit the Washington Nonprofits calendar (by clicking the icon below) and the 501 Commons featured training and networking events listing.